Quality construction without stress. That’s the kind of customer experience that the team at Kauffman Construction of Goshen, IN, has been striving for since its start in 2008. 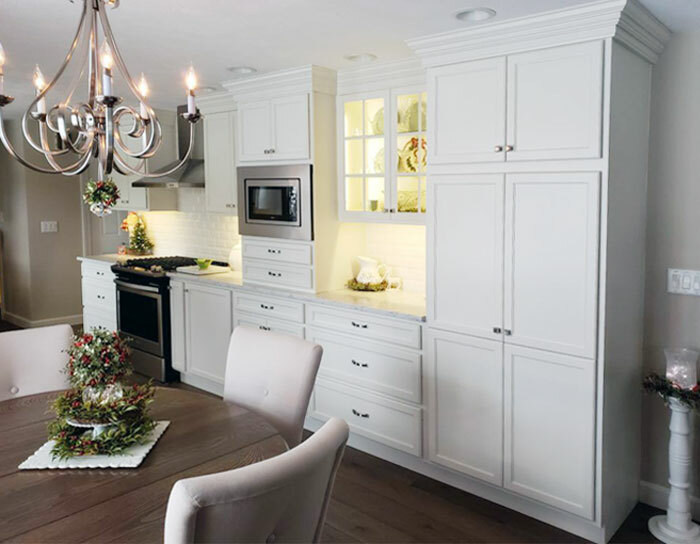 With an emphasis on communication, planning, integrity, and honesty, the home construction contractor makes construction and renovation an enjoyable experience for their clients. How do they do it? For starters, they maintain long-term relationships with subcontractors and suppliers. In return, those relationships are reflected in the solid quality of a client’s project. Second, their team is experienced and dedicated from top to bottom. Skilled in the trades and willing to work with the customer to achieve an excellent end goal, the folks at Kauffman Construction consider it as an honor to serve you! 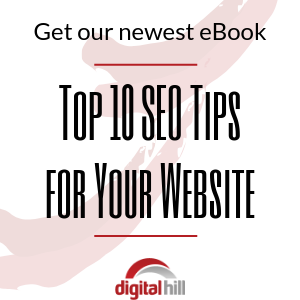 With a brand new site from Digital Hill, the Kauffman team can help their clients and prospective customers even more. Simple and user-friendly yet attractive in design and fully functional, the new website is beneficial for both the customer and the company. Let’s take a look at some of the features of the new website! Powered by WordPress, the new website is highly customizable due to the many benefits of using WordPress. What’s one of the main benefits? Plug-ins! At any time after there is a need to, the site managers can add more functionality to their website (such as SEO, social media, and security). The rotating photo gallery feature is a great way for Kauffman Construction to keep their site fresh and updated while offering customers a window into the company and their finished projects. Right on the home page and on the project page, there is a showcase of homes that present the past projects of the Kauffman team. Rather than bombarding site visitors with text describing their services, the gallery provides a literal look into the business. 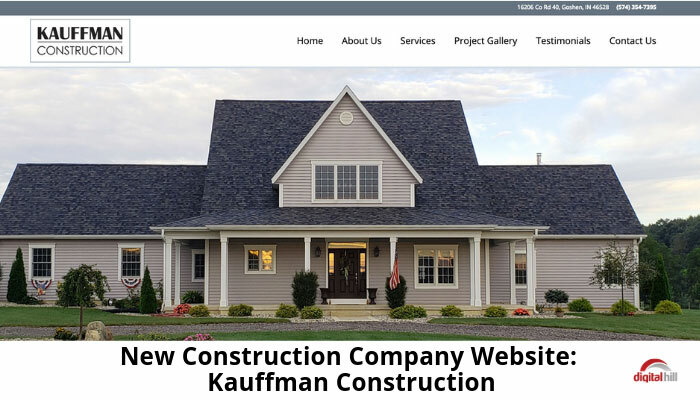 The lead form on the site allows visitors to connect with Kauffman Construction without having to call, email, or walk into the actual location. The form benefits the business. 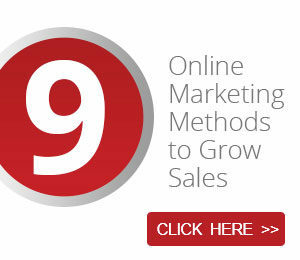 It offers a simple way to collect new leads and email addresses to continue a dialog with customers. Furthermore, you can get an overview of the CMS system by watching this video. Kauffman Construction’s new site was created in partnership with Digital Hill. 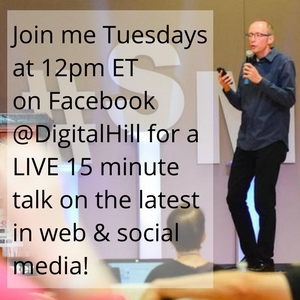 Digital Hill Multimedia has decades of experience in providing local and national businesses with web development and digital marketing services. 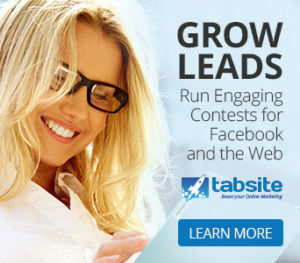 Are you looking for a web design and marketing company that can understand the needs of your business? Get in touch with us today!